Humans need to believe. When some are convinced of what they believe, no facts and no truth will convince them otherwise. Borg Hendrickson from Kooskia, Idaho, wrote that the Lower Snake River dams are losers because of the cost of keeping them running. We can guess he is throwing out this red herring to keep focus off Idaho dams and "Idaho water." He said hydropower from the Snake River dams has been replaced by wind power, and with the dams in place, millions of dollars in recreation are being lost. It's true removing Glines Canyon and Elwha dams on the Elwha River and Condit Dam on the White Salmon River increased available habitat, and salmon are spawning there. None of these dams had fish passage. 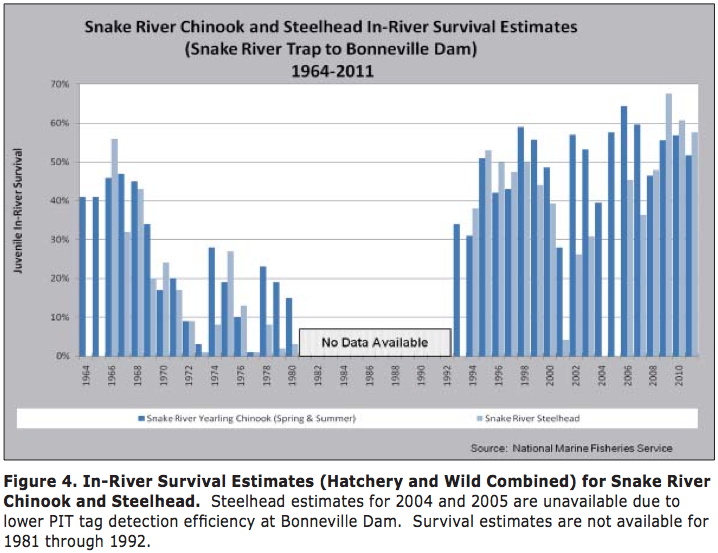 Adult survival past each Lower Snake River dam exceeds 99 percent, and juvenile survival exceeds 95 percent. No spawning habitat was lost because of these dams. Spring and summer Chinook, steelhead and sockeye passed through on their way to upstream spawning areas. The lower Snake was far too warm for fall Chinook before the advent of cool water releases from Dworshak Reservoir. Although steelhead and a few Chinook made it upstream, it was not until Lewiston Dam was removed in 1974, and Grangeville Dam was removed in 1963 that spawning habitat was restored in the Clearwater Basin. However, this was offset by the removal of habitat by Dworshak Dam. Kooskia, Clearwater and Dworshak hatcheries maintained the runs and the Nez Perce Tribe's fall Chinook and coho restoration efforts restored wild spawning fish to the lower Clearwater and tributaries. More salmon and steelhead return to Mr. Hendrickson's back yard now than before the lower Snake dams were built. 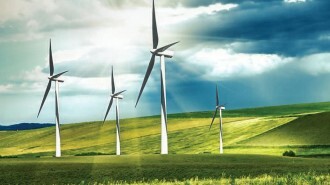 When the wind does not blow, wind turbines don't generate electricity. Wind turbine companies are now looking at building reservoirs along the Columbia and Snake rivers so they can pump water uphill when the wind is blowing, then let it run back downhill through turbines when the wind is still. I suspect the multitude of boats at the head of Lower Granite Reservoir, floating the Clearwater from Kamiah downstream, or jet boating Hells Canyon exceed the numbers before 1961 when the first Lower Snake River dam went into operation. That doesn't count all the stream anglers, anglers below the dams or the multitude of anglers from the Snake River to the mouth of the Columbia.